Tooth enamel loses minerals when it is attacked by acid that forms from food and bacteria. The minerals can be redeposited by fluoride, calcium, and phosphate. Too much demineralization without enough remineralization can lead to cavities. Fluoride is a mineral found in many foods and water that can help teeth resist attacks from acid and reverse early decay. It can help in the development of permanent teeth in young children and speed up remineralization. Fluoride is available in many forms. Most communities have fluoride in their public water supplies. Fluoride is also found in many toothpastes and mouth rinses. A dentist can apply a fluoride treatment in the form of a gel, foam, or varnish. 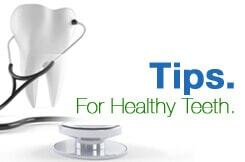 A dentist or doctor can also prescribe liquid or tablet fluoride supplements. Fluoride is important for children between the ages of 6 months and 16 years whose primary or permanent teeth are developing. Adults can also prevent tooth decay by using fluoride toothpastes, mouth rinses, and treatments. Fluoride is beneficial to people with dry mouth, gum disease, a history of frequent cavities, crowns, bridges, or braces. Fluoride is safe and effective when used in moderation but can have negative effects at high doses. Excessive fluoride can cause fluorosis, a condition that usually occurs in children under 6. Fluorosis can cause white specks or streaks or brown discoloration on teeth. It is usually caused by high concentrations of fluoride in well water. A dentist might be able to lighten or remove stains caused by fluorosis with strong abrasives or bleaches. If you have concerns about the amount of fluoride your child is receiving, talk to your dentist or pediatrician. Parents should supervise their children’s use of products containing fluoride and keep those products out of reach of young children. Avoid using fluoridated toothpaste with young children because they will be more likely to swallow it, which increases the risk of fluorosis. Use only a pea-sized amount of fluoride toothpaste for a child. Most bottled water does not contain optimal levels of fluoride found in many public water supplies. People who drink bottled water are not necessarily at higher risk of getting cavities, but they can miss out on the protective benefits of fluoride. Some home water treatment systems remove most or all of the fluoride found in tap water. If you use a home water treatment system, you should have your water tested at least once a year to find out how much fluoride it contains. You can have testing performed by your local or state public health department or a private laboratory. You can also check the information that came with the water treatment system to find out how it affects water fluoride content. The majority of the U.S. population has adequate levels of fluoride in public drinking water supplies. To find out how much fluoride is in your water, contact your local or state health department or local water supplier.